Today sees the launch in EMLO of a discrete jewel of a catalogue: that of English scholar and elegiac poet Thomas Gray. Although he could not be described as particularly prolific in verse, at present his calendared letters number 651 and his correspondents comprise an intriguing selection of the ‘great and the good’, including Horace Walpole (of Strawberry Hill fame), physician Thomas Wharton, and fellow poet Richard West. The exemplary database of his correspondence, the Thomas Gray Archive, to which each letter record in EMLO is linked, has catalogued the corpus of letters to and from this polymath and scholar, who was described by his biographer William Mason as perhaps ‘the most learned man in Europe’. Within the Thomas Gray Archive, you will find scans of and links to manuscript versions and printed copies as well as detailed information about the poet — his writing, his publications, his correspondence, and his circle — and we at CofK are truly delighted to count among our contributing partners this invaluable resource. We hope very much you enjoy consulting the correspondence and exploring in depth the Thomas Gray Archive, and we look forward greatly to enhancing our eighteenth-century metadata in EMLO with the numerous correspondences now in preparation for upload over the course of the coming year. This entry was posted in Uncategorized on June 30, 2015 by Miranda Lewis. Most successful applications will contribute directly to fulfilling the agendas of one or more of the Action’s six Working Groups, a summary of which is attached here. The deadline for completed applications is midnight on 27 July 2015. Further information regarding the programme and the eligibility criteria is also attached. 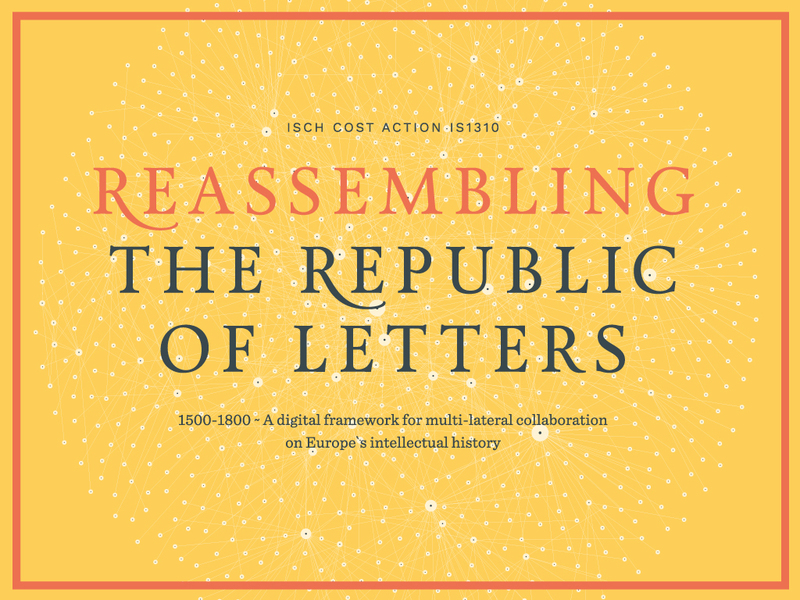 In the specific case of COST Action “Reassembling the Republic of Letters”, this call explicitly addresses persons who deal with the digital processing of (early modern) learned correspondence, from different professional perspectives: librarians and archivists; scholars; IT specialists; digital humanities and media experts. For detailed information on COST Action IS1310, please see the Memorandum of Understanding (available at http://www.cost.eu/domains_actions/isch/Actions/IS1310 ). Please download the full call for STSM Applications here. For COST STSM funding rules, please visit Section 6 of the COST Vademecum Part 1: COST Action (available at http://www.cost.eu/participate/guidelines). This entry was posted in Uncategorized on June 24, 2015 by Dobrochna Futro. Madame de Graffigny, signed by Levêque, in Jean Restout, ‘Galerie française’ (Paris, 1771), vol. 1, p. 27 (source of image: The Voltaire Foundation). 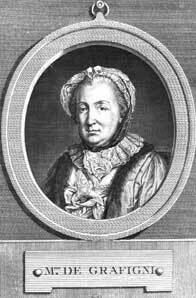 Today’s publication in EMLO of the correspondence of Françoise de Graffigny (1695–1758), the pioneering French writer and salon hostess, heralds the inaugural catalogue in an exciting new partnership between the Voltaire Foundation and Cultures of Knowledge. Following an agreement made earlier this year, metadata has been prepared from the Voltaire Foundation’s exquisitely and meticulously produced edition, Correspondance de Madame de Graffigny, ed. †J. A. Dainard and English Showalter, 16 vols (Oxford: Voltaire Foundation, 1985– ) for publication in our union catalogue. Preparatory work on this calendar was carried out in its entirety during the closing month of CofK’s second phase and involved Stephen Ashworth working on site at the Voltaire Foundation to input metadata in collaboration with EMLO staff, while scholarly input and oversight was provided by de Graffigny’s editor English Showalter and the Foundation’s in-house editorial team. We hope very much indeed that you will consult the edition itself; Madame de Graffigny’s letters are of particular interest to scholars for their use of everyday language — the correspondence is conducted entirely in French — and, in their genuine spontaneity, they offer a unique glimpse into the social, literary, and political issues of eighteenth-century France. This entry was posted in Uncategorized on June 15, 2015 by Miranda Lewis.